Luang Prabang Cycling To Vientiane .This Laos cycling tour is a connection between the world heritage town Luang Prabang and the bustling capital Vientiane where most tourists depart the flights from or it is worth to spend a couple of days to wander around Vientiane at the end before heading out. This trip is more enjoyable with down hill than cycling from Vientiane to Luang Prabang as it is more uphill. 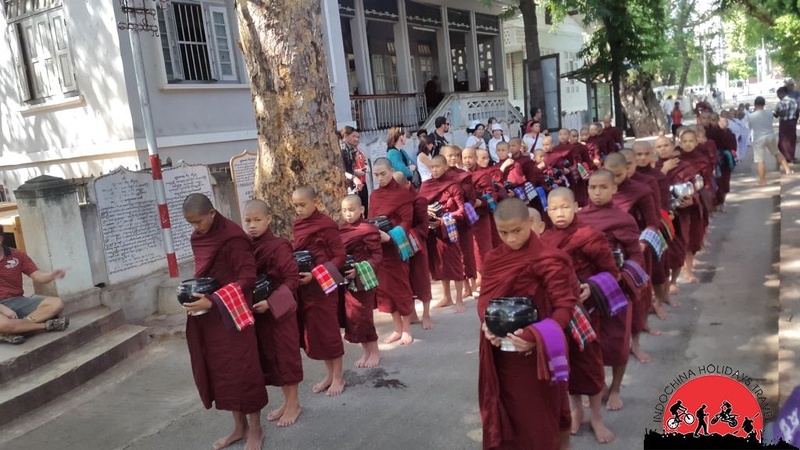 This cycling tour has paranomic view with fresh air the nature and the cultural interest as you cycle along to see the people, the ethnic minoriy H’Mong. We ride about 399km in 5 full days along back roads and quiet highways and along side rivers before climbing up into specacular limeston mountains. This trip involves some longer days over 80km and a couple of days with mountainous terrain. Riders should be of good cycling fitness. We have a support vehicle on hand at all time if you have difficulty with any sections. This cycling Laos trip can be combined with our cycling tour from Hanoi to Luang Prabang 11 days. Then to extend another 6 days from Laung Prabang to Vientiane. 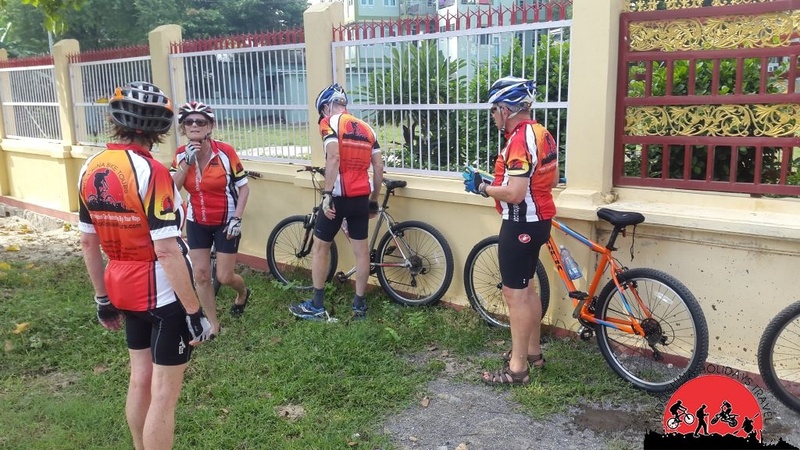 After checking your bikes, depart from Luang Prabang cycle the way to Kiew Ka Cham passing on the mountain road passing lush forest and many small H’Mong villages that sit dwarfed by the amazing landscape of limestone mountains that surround them. Dinner and overnight in Kiew Ka Cham. After breakfast, fill in water and be prepared to get on the bike. Today is the hard part of cycling with some up hills and down hills. So, we will start a bit early. You will be high in the mountains for the first half of the day following a ridge line up and down with peaks all around. In the afternoon it is time to relax a bit as the road is largely downhill along a valley to our overnight stop of Kase, a small village on top of the mountains. 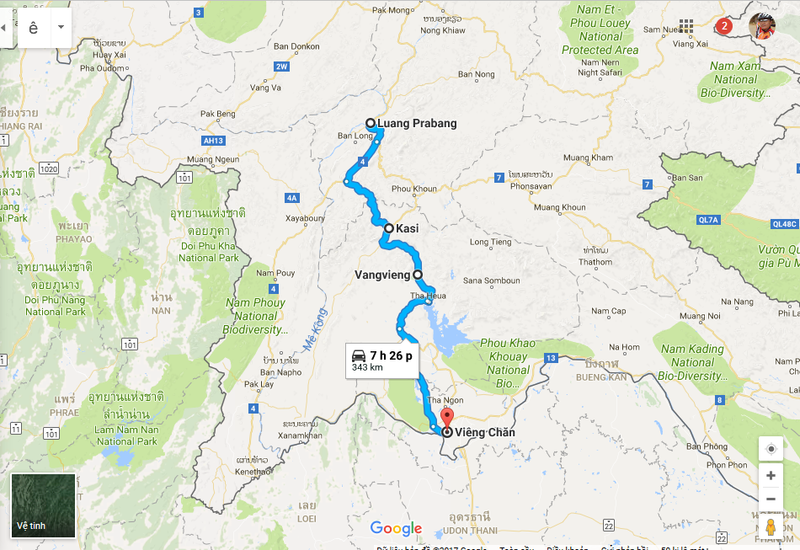 Cycle the 57km to Vang Vieng hopefully arriving early afternoon, spend afternoon to go caving or tubing on the Nam Song River or just relax. The ride to Vang Vieng is a relatively easy day traveling through the lush green of rice fields. Vang Vieng is set in a prime location. Surrounded by limestone peaks, caves and rivers this town see its fair share of travelers but for good reason. Overnight in Vang Vieng. a man-made lake, formed by the damn. Dinner and spend the night near the lake. 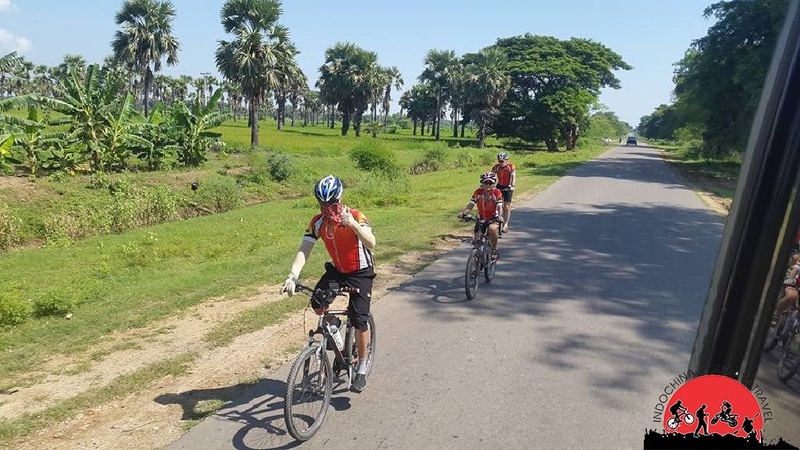 Today is the last part of the journey cycling back to Vientiane the road becomes mainly flat for this ride and you should be back in Vientiane celebrating by late afternoon.